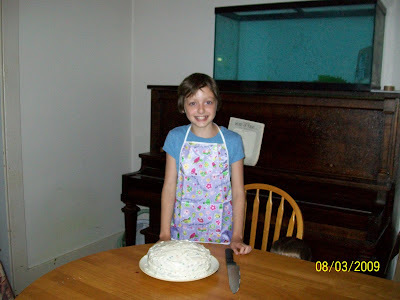 The apron I received for my review was a great fit for my friend’s daughter, Arielle, who is 10 years old. She wore it to bake a cake for her brother’s birthday. She liked the bright colours and that it was easy to wipe clean if she spilled something on it. This apron is great when your child wants to do an activity that may get a little messy like baking or helping out in the garden. I like that it is so easy to care for and doesn’t require a washing with each use since it is waterproof and cleans so effortlessly. The children’s aprons are affordably priced at $16.95 and can be purchased by visiting the Bumkins website. In connection with the Back to School Season just beginning, Bumkins is having some great sales on some of their featured items including the art smock, child apron, toddler apron, and junior apron. 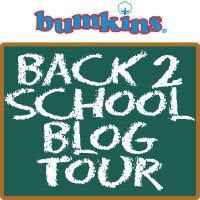 Bumkins is also offering FREE SHIPPING for orders over $35 with coupon code b2school09 until September 1, 2009. This applies to UPS Ground Shipping only. I would like to win to buy for my two kids.